Have you been a little naughty this year? 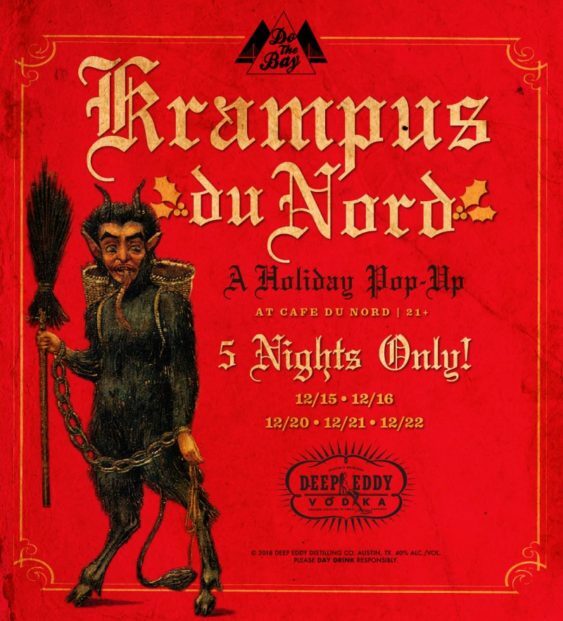 Cafe du Nord turns into a special creepy Christmas holiday pop-up, Krampus du Nord, for just 5 nights only. Expect Norwegian black metal, torture decor, a naughty list of libations by Deep Eddy Vodka (drinks like The Horny Goat, Evil Nog, & Witch’s Spiked Cider), and more evil holiday surprises. 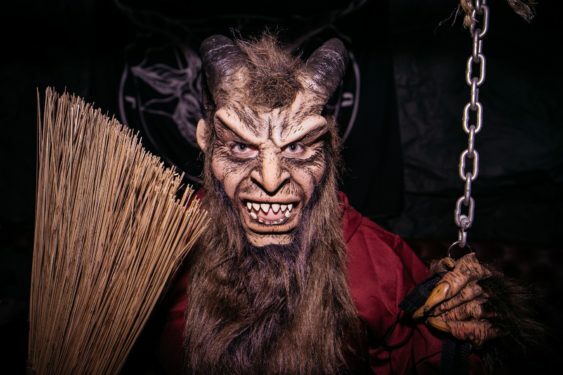 In Central European folklore, Krampus is a horned, anthropomorphic figure described as “half-goat, half-demon,” who, during the Christmas season, punishes children who have misbehaved, in contrast with Saint Nicholas, who rewards the well-behaved with gifts.